We help good companies become great. Just ask them. Stonehouse Resources was born from a desire to share the business benefits of positivity. We also recognize the challenges of the top leadership of your company. Where can a CEO turn for guidance? Advice? Insight? How do you keep from becoming a bottleneck to essential decisions in your company? Who can help you stop making decisions in a vacuum? The top position of a business is tough and lonely. If you’re a business owner or chief executive who wants honest (sometimes brutally honest) feedback on how to do your job better and enjoy your life more, you will want to call Stonehouse. 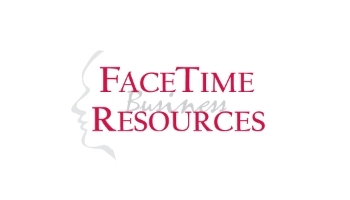 FaceTime Business Resources saves business and organizations TIME and MONEY on the purchase of commercial printing, promotional products, logowear, and signage. We shop each product for you, leveraging our strong relationships with a wide network of “Producer Partners” to combine the convenience of one source with the cost savings of many. Outstanding Customer Service and Top Quality Products at Industry Low Prices…It’s what we do! A digital marketing consultant should be your partner, helping you to further your business goals. Maybe you’re looking for new clients for a law firm or accounting firm. Maybe you need more customers at your restaurant or retail location. Or maybe you are looking for more donors for your non-profit. Your digital footprint can help or hurt you in these goals. There is no ‘one-size-fits-all’ approach to achieving these goals in a digital space. From SEO to SEM to Social Media, each set of digital tools has uses and your business’s resources need to be used wisely. BadCat is the digital marketing consultancy in St. Cloud that can be an advocate for your business goals online. At Doctors Park Mental Health Center we work with individuals struggling with mental health, loss, life transitions, and those wanting to increase their quality of life through a holistic approach. We also work with couples, families, and children over the age of 5. Our clinicians specialize in PTSD in both children and adults, anxiety disorders, and veterans. Our clinicians understand the impact of mental health on all aspects of life and are ready to be the ones to help every step of the way.